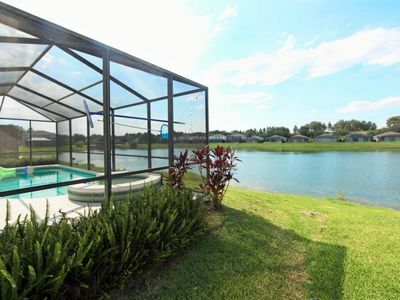 This stunning villa with luxurious accommodations will fulfill and exceed your expectations! 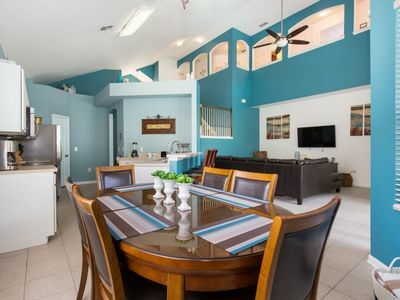 The vibrant colors and welcoming "open concept" design is sure to captivate all who visit. 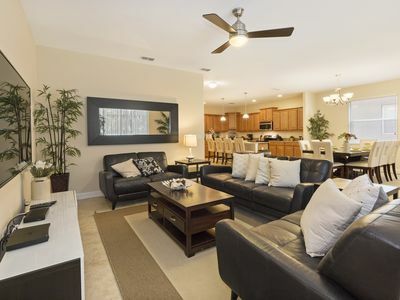 After an exciting day at the theme parks, come home to relax and unwind in the spa, take a swim in the pool or enjoy lovely conversation under the private lanai. 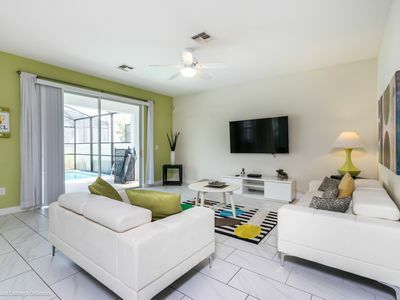 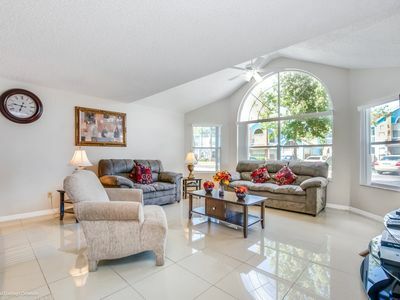 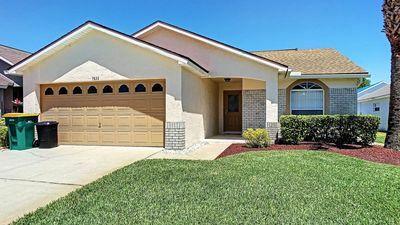 This home has flat screen TVs and ceiling fans throughout the property as well as on the screened-in private lanai (including a TV in the ensuite master bathroom for your enjoyment). 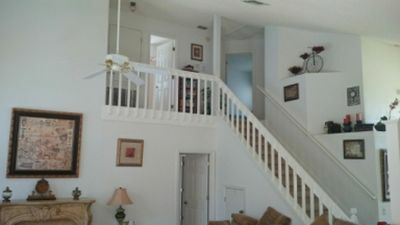 The family room, dining room and kitchen area allow for great family gatherings (waffle maker, blender and Keurig included). 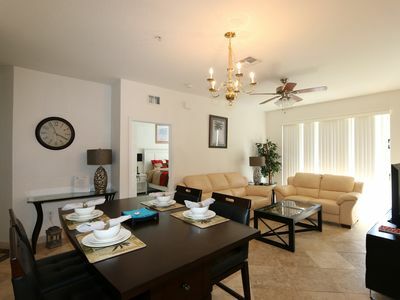 The game room is large and supplied with a pool table and foosball that will keep everyone entertained! 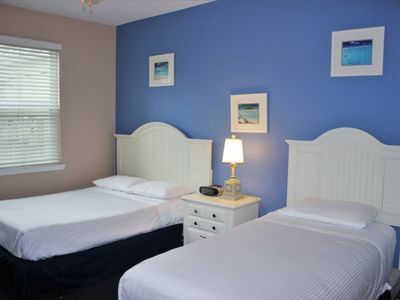 Guests have the option of heating the private pool and spa for a daily charge. 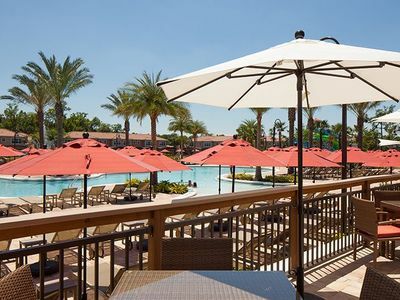 Pool and spa heat is $30/Day. 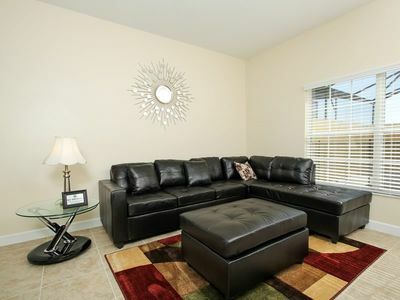 Windsor Hills 2 Bed Condo! 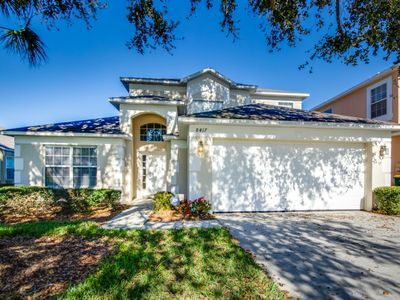 Close to Disney! 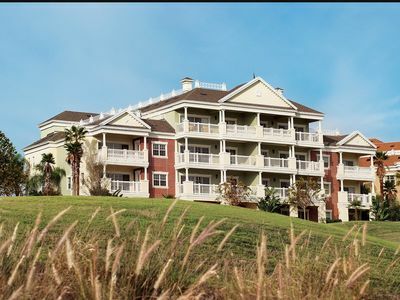 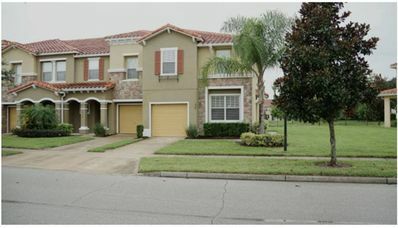 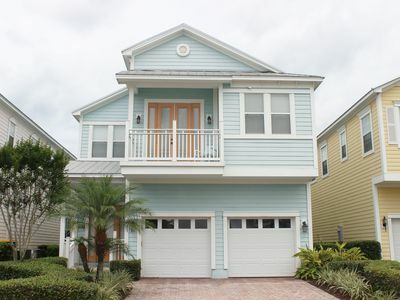 Townhouse at stunning Regal Oaks Resort! 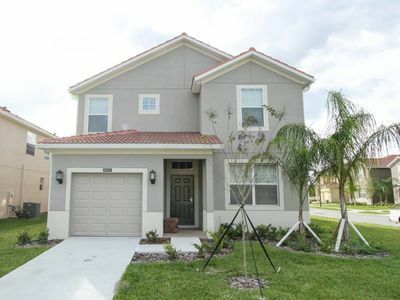 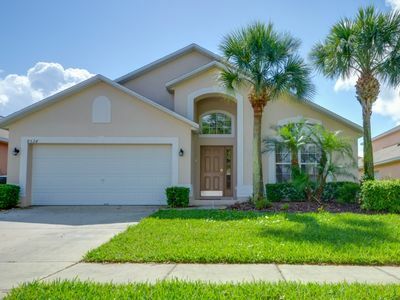 Close to Old Town and Theme Parks! 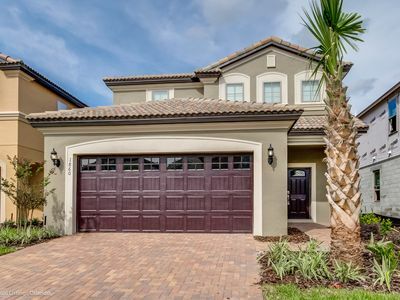 Beautiful 5 Bed Gated Pool Home At Windsor at Westside Resort From $240/nt!